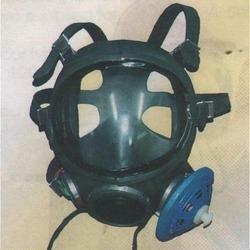 We are a leading Supplier & Trader of Breathing Apparatus such as Face Mask and Self Contained Breathing Apparatus from India. These products are manufactures with guidance of our expertised staff to produce niche quality products. Face Mask allow completely natural breathing through mouth and nose, incorporates a unique air cushion seal which fits around the face, giving maximum comforts, minimizing dead space by soft inner mask and ensuring perfect fit with only light tensioning of head harness. demisting of full view mask automatically. A rigid visor is made from tough, heat resisting plastic allows completely unrestricted all-round vision. A particular feature is a speech transmitter, which facilitates normal conversation and positioned directly in front of mouth. 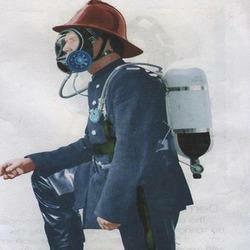 A Self Contained Air Breathing Apparatus with demand valve and alarm arrangements. It is designed for specialized rescue operation or maintenance job in toxic atmosphere. It provides complete respiration protection to the wearer who breathes independently from supply carried on his back. It is a long duration, self contained, absolutely reliable and a compact unit for negotiating confined spaces. Looking for Breathing Apparatus ?